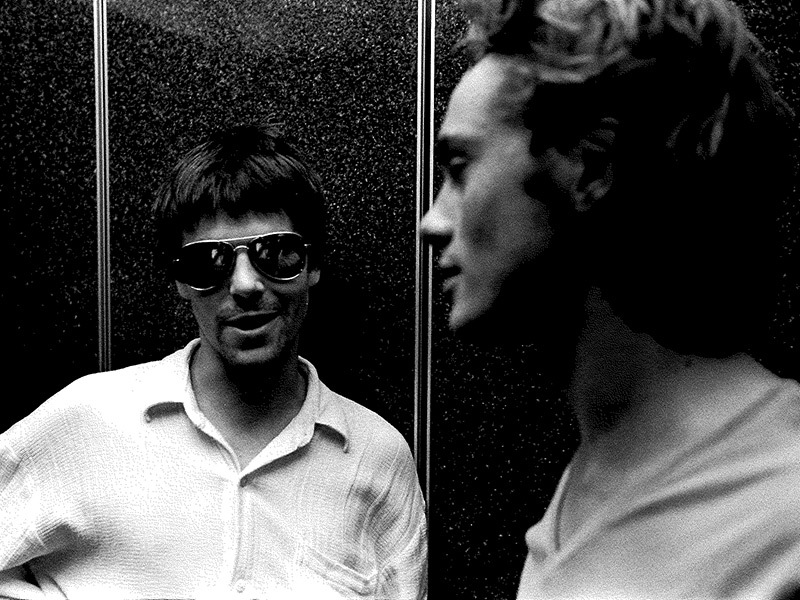 Deconstructing a monster hit: Spacehog's "In The Meantime"
Published Dec. 26, 2018 at 1:01 p.m. I think "In The Meantime" was the first song I ever played in Spacehog. It was the one that got me hooked and made me realize what a special talent Royston Langdon is. I had heard about his band, The Zeroes, when we both lived in Leeds, before we even knew each other. They rehearsed below my friend Sola's fashion studio opposite the Corn Exchange in the center of town. She and I would smoke dope, and I would grumble about how terrible they sounded, not knowing I would be in a band with the singer and principal songwriter, about a year later. The initial jam of the song took place in Antony (Roys' elder brother) apartment in New York City's East Village. I had moved there with the help of a plane ticket won in a offer created by Hoover Vacuum cleaners, and the kind donation of my friend Eileen's couch. It had this brilliant rubbery McCartney-esque bass line, played by this little kid with a huge voice. What I didn't know at the time was that Roy had meticulously demoed the song in his bedroom under the name Kipperstone, using a busy and a free signal from a British old-school telephone. As the song modulated, so did the phone tone, held down with the beat of a drum stick on a couple of pillows. My instincts pretty much set the tone for what was to become the drum track: A simple funky groove with a little double time hick up to amplify the rhythm guitar part in the verse. Then a simple switch from 8's to 16th notes on the hi-hat in the chorus. Antony opted for a simple two-string riff in the vein of the Pixies, and it wasn't until the arrival of Richard Steel that the lead guitar parts took shape. I knew Richard from Leeds, had toured with him during my time in The Hollowmen opening for his band Ghostdance. We'd even jammed together; he was a monstrously talented guitarist and a sweet soul. I called him on what turned out to be his birthday in Manchester. I begged him to move to New York and play for Spacehog. To my surprise he came. Armed with a Flying V and some blind faith, he came up with the laconic verse figure, dynamic chorus power chords and Mick Ronson like whinnying. Looking back on it, Roy had a lot to say about the bones of the song, but we all chipped in with production nuances. Knowing that Roy loved Queen, I proposed we fly in some backwards piano chords in much the same way they did on "Another One Bites The Dust." We had dabbled with the technique on The Hollowmens' "November Comes," and it works to great effect on "In The Meantime." There's a little nod to "We Will Rock You" on the drums in the outro, and the Queen piano reference continues into the coda where Royston flamboyantly improvises the songs conclusion. The song was demoed at a small jingles studio called Crushing on west 57th Street in Manhattan in 1994 by Mark Horn Senior. It is one of the only recordings featuring our original guitarist Bob Curreri. The session had been arranged by Peter Kahn, who at the time was jockeying for position to manage the band. Ant brought Sean Lennon down to the studio with his guitarist (and later ours) Timo Ellis. He invited us back to the Dakota Building to jam. I'd been in New York about a year and there I was, wearing Yoko's slippers, with one of John's guitars slung over my shoulder. It was pretty surreal; I year before I was working on a building site in England. I think Sean gave Roy one of his dad's Rickenbacker 4001 basses that night and he ended up using it to cut the single. This demo and a bunch of downtown shows got us a deal very quickly with Sire, and armed with a decent recording budget and producer Bryce Goggin, we headed to Bearsville Studios Upstate to cut our debut album. 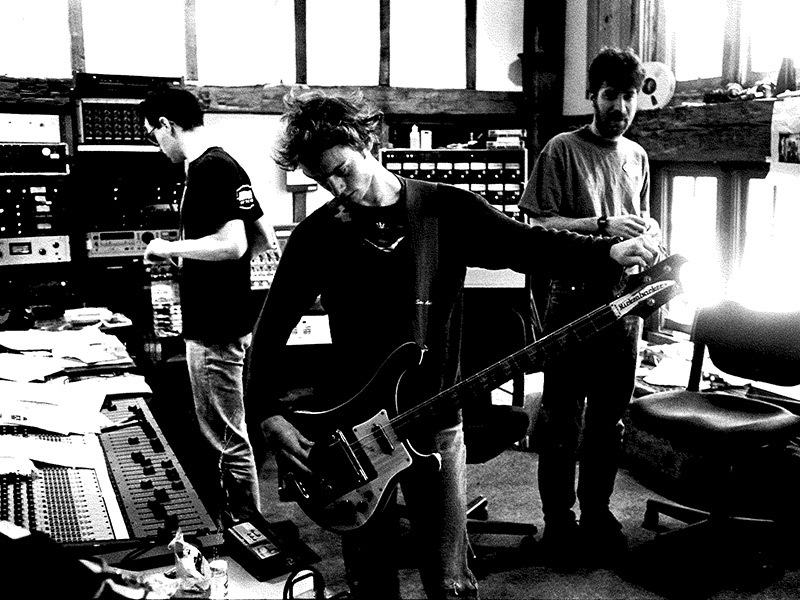 By then, "Meantime" was well established instrumentally and we all knew what was required to cut the track. As with the demo, we played live in the control room, no click and stripped away/added overdubs as required. I remember being a bit concerned at the time that it might end up a little flat as a consequence. 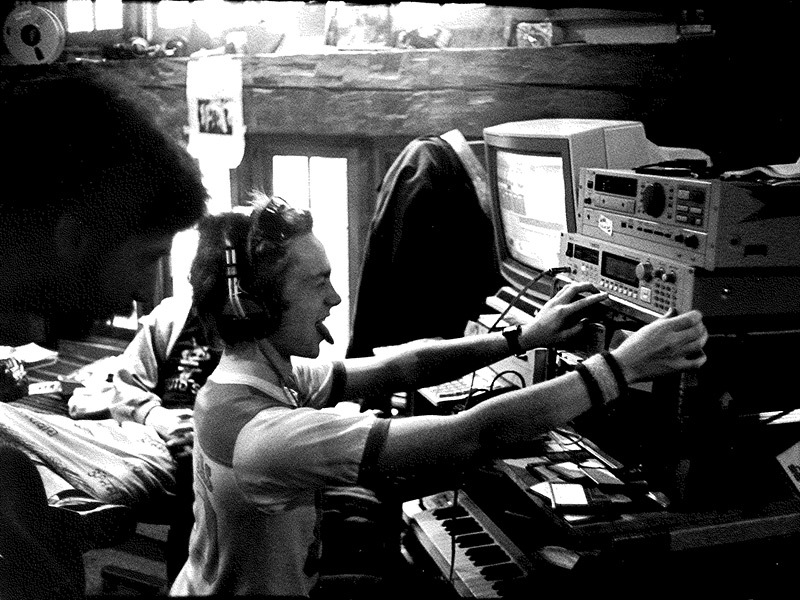 The Hollowmen had always relied upon studio spontaneity, and Spacehog were a more considered recording unit. My concerns proved unfounded. Roy delivered a brilliant vocal, piece by piece, late at night, in the control room, on his own, just a mic and a tape machine. The song was mixed at RPM in Greenwich Village, came out as our debut single later that year ('95) and was a rock radio monster hit by early 1996. I had been playing in bands since 1982 and this was my first legitimate success. It was a trip. - Special thanks to Peter Kahn and Mark Horn, Sr., in helping trace and transfer the original masters for this article.